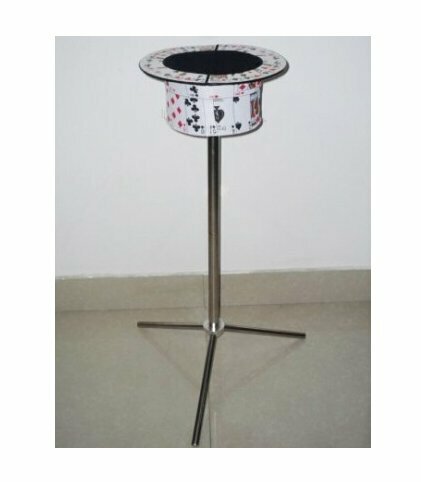 Product Description; Collapsible Card Top Hat Stand - Side Table; Very Good/Used Condition. Have it sitting on your stage as is, or just the stand sitting there, you walk out, pop open the hat and set it on the stand. There is a strong magnet in both the hat & stand. 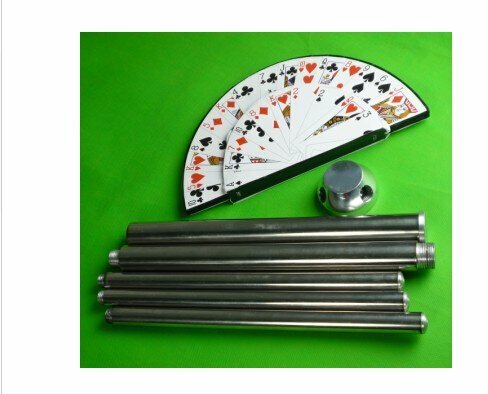 Good for card manipulations, silks, other light props. Solid, stable stand base. Collector's quality.